XF 14mm f/2.8 R Lens is rated 4.9 out of 5 by 129. Rated 5 out of 5 by Ted from Awesome lens for the price The lens may seem to be expensive for what it is, but in my humble opinion, it is the best bang for the buck. I've owned many prograde glasses from Nikon and Canon. This lens nears quality of Leica lenses at a fraction of the cost. 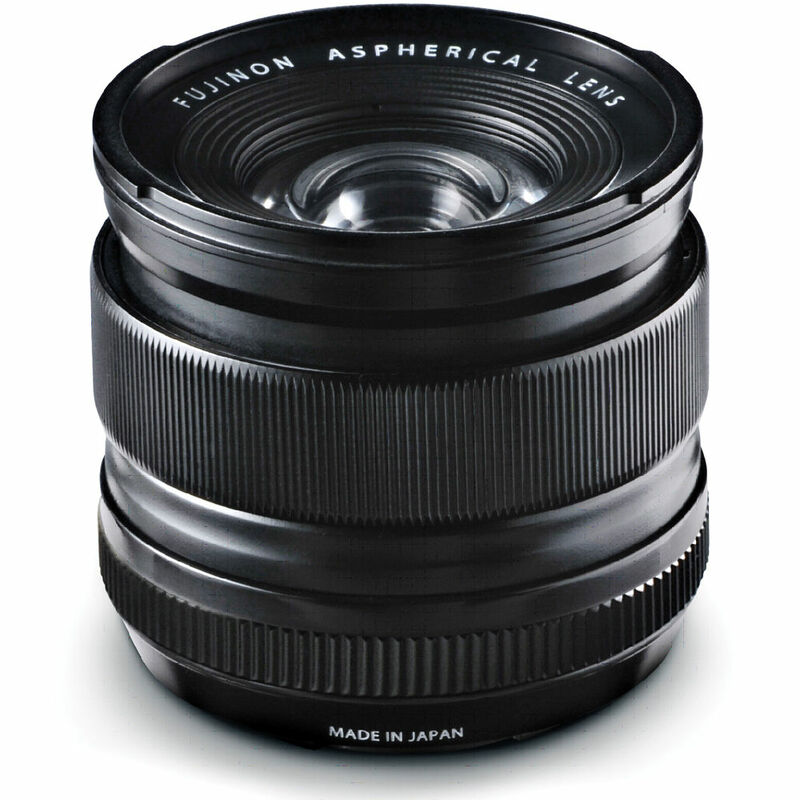 The lens is very well built, and is feather light, yet, optical quality is nearly flawless. Near zero distortion, no visible aberrations, and sharp from corner to corner. I've held off moving to Fuji due to the lack of lenses, but after the release of 14, 23, and the forthcoming 56, I finally sold off my Nikon DSLR gear (D800E + lenses) for Fuji compact system. No regrets, and my prints match the quality from the D800E. Rated 5 out of 5 by Steve from NJ from Another excellent lens from Fuji! I use this lens for all kinds of scenery. Urban and suburban and countryside. Since I make some money with my other Fuji equipment, this is my least used. But when I do use it, I am very happy with the results. I read some reviews where they talked about the aperture ring moving from the Auto setting. Mine has a detent there. I got the lens in November so I don't know if they changed the original design of the ring. In any event, I have never had that problem. I keep this lens on my X-E2. That makes for a very light combo capable of giving excellent results. I also keep the lens at f8 and shutter speed at 1/125 outside and slower inside. ISO is on auto. Rated 5 out of 5 by Eric H. from Compact, light, sturdy, robust! The 14mm (21mm equivalent) is a great focal length on the X series cameras. The lens is very robust, yet still light weight. The metal construction of the aperture and focus rings feel great in the hand and both provide very positive clicks when used. Focus from .18' to infinity is just a little over 1/4 turn when in manual focus mode. Auto focus seems to be quick and accurate. The lens hood twists into place nicely and fits snugly in place. The lens hood can also be reversed on the lens for storage. Quality of the lens seems to be very high from my perspective but that is subjective. I have no complaints and enjoy the lens immensely. Rated 5 out of 5 by PXLPOD from Plenty fast, great bokeh For those of you trying to decide between the 14mm f/2.8 and the new 16mm f/1.4 I say this: When I reach for an Ultra-Wide, I'm not going for super buttery background blur. I'm also not particularly interested in shooting Ultra-Wide portraits. This lens balances minimal distortion with with lots of great DRAMA, if positioned carefully. f/2.8 is plenty fast for most applications, and again, when I'm shooting wide I'm generally shooting at f/5.6 - f/16 anyway to get as much in focus as possible. This little guy is a gem; distance markings, push-pull focus ring, and 58mm filter ring. After dark, I reach for Fujifilm's 23mm or 35mm primes. I'm a manual shooter, and paired with an X-T1, this lens is a manual shooter's dream. See attached samples. Rated 5 out of 5 by John from Excellent Ultra Wide I own two Fuji cameras, an X-E2 and an X-T1. This is the first Fujinon I purchased. My first lens was a Zeiss Touit 32. This lens is so superb that I have purchased the 23 mm also. I just may not go back to Nikon. The 14 is sharp corner to corner even at f 2.8. Fuji glass has me rethinking everything. The manual to auto focus slide ring works wonderfully. It is most intuitive. I bought the 14 to make photos of my interior woodworking projects and yet it produces files that are interesting aside from this. It is the best ultra wide I have owned in my thirty years of photography. Rated 5 out of 5 by Thomas from Very top notch ultra wide angle lens I have used the 14mm primarily for landscape work. Compared to full frame lenses, this 21mm equivalent focal length is smaller lighter, and beautifully made as are all the Fuji XF primes and zooms. I have used it thus far on my X-Pro 1, but beware, you will want to use the electronic viewfinder as attempting to use the optical viewfinder results in seeing a lot of the lens in the frame. I look forward to using this lens with my X-Pro 1 since the lens seems to be very well corrected for distortion and should make for a great architecture lens as well. Rated 5 out of 5 by Francisco from Espectacular! Este lente es una maravilla. Es liviano y tiene una resolucin y claridad a las fotos que saca inigualable. Aunque 14mm pudiera parecer una distancia focal poco flexible y que se remite a paisajes y arquitectura, uso mucho este lente, en especial en fotografa callejera, en street photography, dando imgenes espectaculares de personas y situaciones. Solo hay que no tener miedo y acercarse ms a los sujetos a ser fotografiados. Es tan wide que las personas piensan que estas apuntando a otro lado con la cmara xD. Tengo tb el 27mm y el 35mm, muy buenos ambos, pero este es el regaln. Rated 5 out of 5 by EGPhoto from Portable marvel I am an architectural photographer, and I use this lens on a Fuji X-E1 for location scouting and personal projects. The lens is very well built and very close to Leica quality at 1/5th of the cost. Compared to other fuji lenses (35mm or 18mm) the 14mm feels more heavy but it balances just fine on an X-E1 body. The image quality is simply superb; the images are sharp, full of contrast and free of distortions. For my style of photography, this is godsend. I wouldn't hesitate to shoot a paying job with this combination if the push came to shove. Is this lens grey market and if not, does it come with a manufactureres warranty? All Fujifilm lenses come with manufacturers warranty, but if indeed it's grey market, there's a possibility it might not be honored in your home country. what is the weight of the lens? Not the package weight, but the just the lens. Excluding front/rear lens caps and the lens hood, the FUJIFILM XF 14mm f/2.8 R Lens weighs 8.29 oz (235g). Has anyone used the 14 mm with the LEE Seven5 Filter System? Any vignetting or reflection issues? According to the Lee Filters, there would not be an issue with vignetting or reflections when using the Seven5 on this lens. Is it an inner focusing lens? Yes it is, and a very sharp one at that. I've used it for two years and I love it. which lens would you recommend fungi 14mm or XF 10-24mm? I had this same question when shopping for the system for myself. I went with the 14 because it is SO much smaller and lighter weight. I love it and find it a very versatile and usable focal length. The wider aperture is also a big help. All of a sudden my lens is not auto focusing. I cannot figure out if I changed a setting or what happened. Does anyone know how to resolve this? Are you sure that the focus ring is pushed forward into the autofocus mode?